Polyurethane Foams are generally less ridgid, durable or dense as PE (Polyethylene’s). Available in Standard, Antistatic or Flame Retardant with or without self-adhesive. Applications include: Packaging, padding, point of sale, medical an industrial. 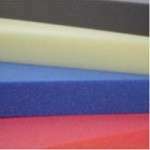 Polyether based Polyurethane (PU) foams are available in a wide range of densities (12 – 30 kg/m3), colours and specifications. 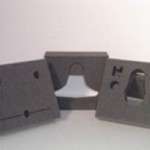 Uses include packaging, industrial, automotive and acoustic, can be self-adhesive backed or plain. 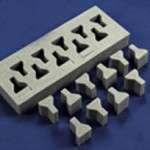 These are low cost foams, which tend to be used in less technologically demanding applications. A process that produces specifically designed cushions for ultimate protection and efficiency.